Discussion in 'Tracks' started by barf, Nov 12, 2018. Summit Road is listed as one of the world's most dangerous roads. It is a narrow, winding road which follows the crater rim of a giant, extinct volcano in Christchurch, New Zealand. Due to rockfall damage from earthquakes and the risk of further rockfall in aftershocks, sections of the Summit Road were closed. This is my first AC track and is currently under development. Tasks and issues are being tracked on GitLab. To report a bug please sign up on GitLab and attach a screenshot to a new issue. 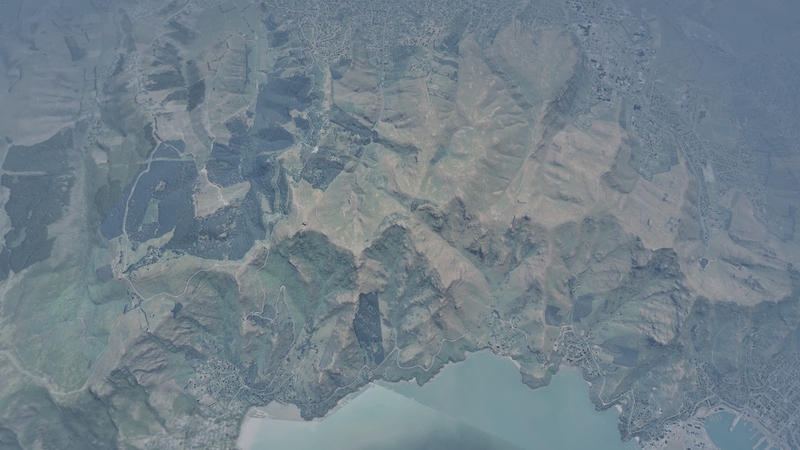 The terrain is a 1-meter LiDAR digital elevation model (DEM) from Land Information New Zealand (LINZ), with a vertical accuracy specification of +/- 0.20m (95% confidence). Horizontal accuracy is +/- 1.00m (95% confidence). The final spatial accuracy is approximately ±2m @ 90% in clear open spaces. 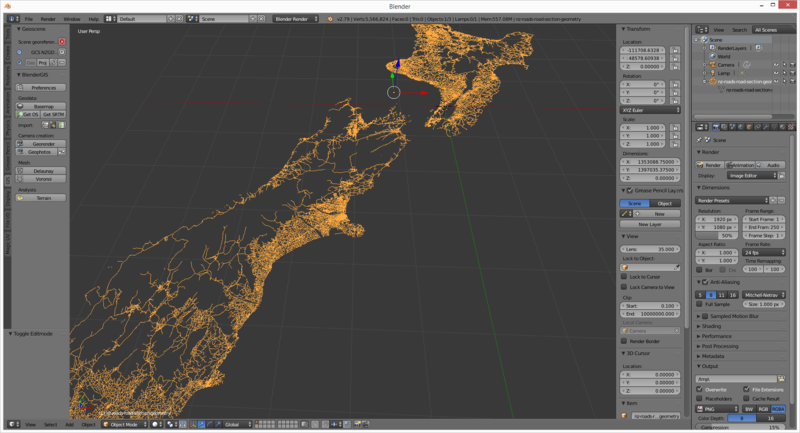 The scene is geo-referenced using the NZ Transverse Mercator projection (EPSG:2193). Distant terrain is formed from the Japan Aerospace Exploration Agency's (JAXA) ALOS AW3D30 DSM, which has a 30m horizontal resolution. 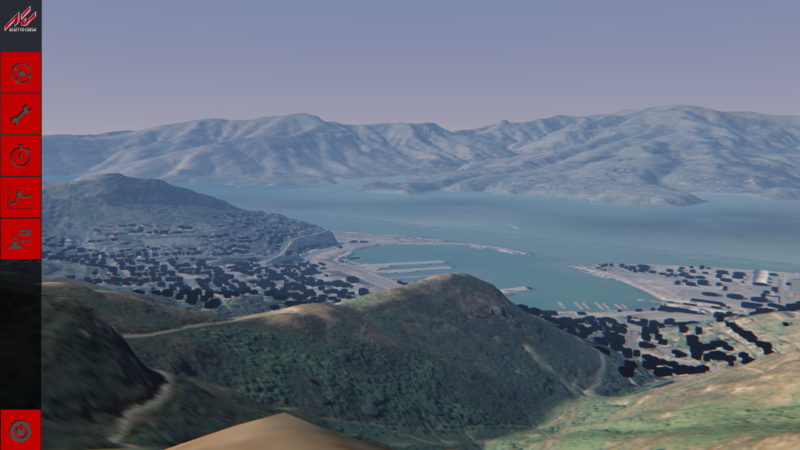 1.2m/pixel orthophotos from LINZ were pulled via WMTS in QGIS for the terrain texturing. 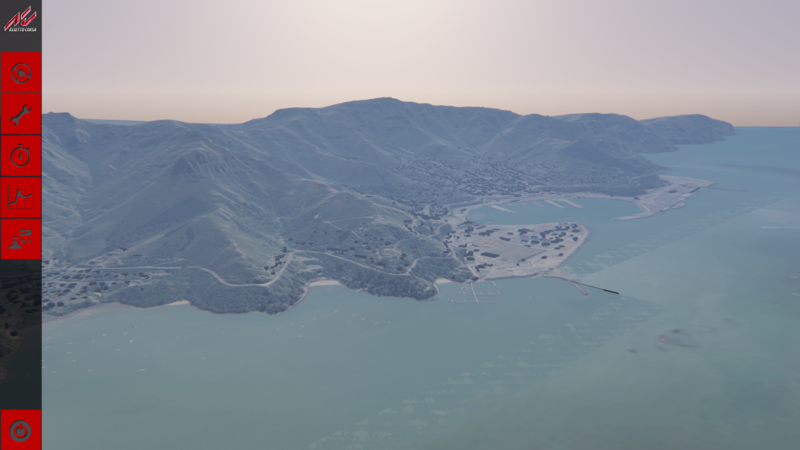 The overall scene size is approximately 35x40km. This track is free but if you are comfortable donating a coffee or beer, any support is appreciated! This track is free, but please do not modify, disassemble or redistribute it without permission of the author. 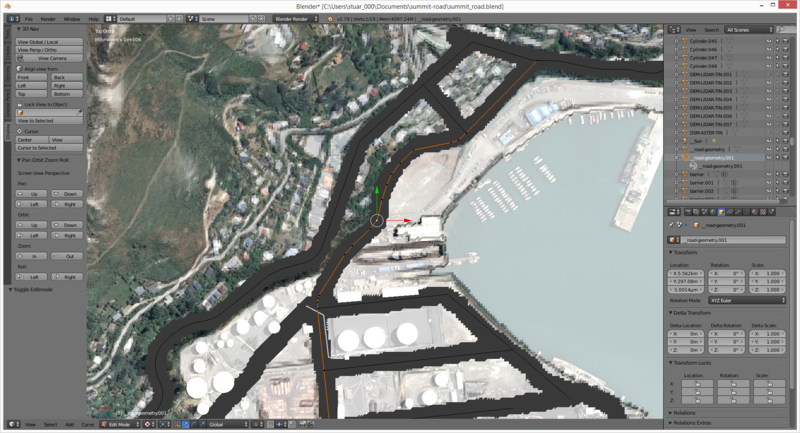 The LiDAR DEM and aerial imagery is sourced from the LINZ Data Service and licensed by Environment Canterbury Regional Council, for re-use under the Creative Commons Attribution 4.0 International licence. The ALOS AW3D30 DSM is Copyrighted by the Japan Aerospace Exploration Agency (©JAXA). Tibor Solyom, Kibbutz and luchian like this. Hi there. Very interesting and abitious project. It sounds well thought at first glance. Good luck with it, will be following this. 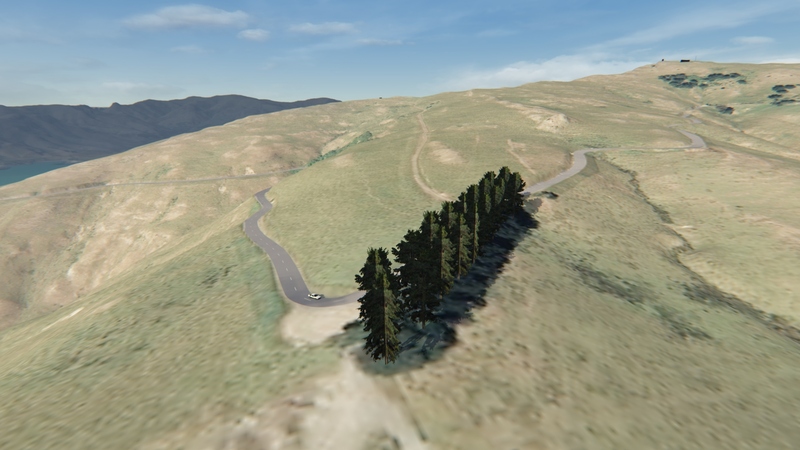 Stage re-organisation into special stages and rename to "Port Hills Touge". This name better represents the scene and roads, which now also includes Evans Pass Road, Sumner Road and Dyers Pass Road. Re-contouring and subdividing the (1m) LiDAR mesh into a drive-able physical mesh continues. Approximately 20 of 45-50km done. Making some trips to location to take measurements, and collect building and signage texture images over the xmas holidaze! 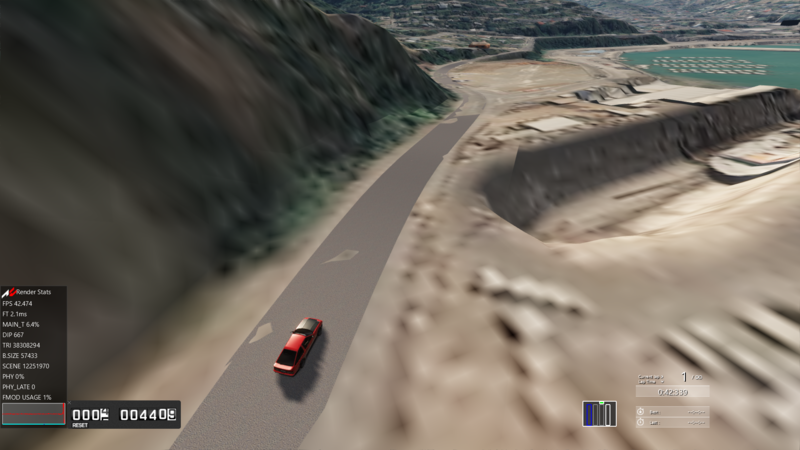 The road is narrow (down to ~7.5m), sided by steep cliffs and banks, and Armco barrier coverage is very limited. Drive safe these holidays everyone! Pixelchaser, Tibor Solyom and luchian like this. At least is progress ! (..with which we can't all brag.. ). Looks good @barf, keep it up ! I tried to follow the video in the build-your-first-track tutorial and make a road surface with nurbs paths and array and curve modifiers, which I could drape over the road using the shrinkwrap modifier. But the plane generated doesn't follow the path like in the tutorial video. Make sure they both have the origin in the same point. The first resemblance of a road! This was a nurbs path used over a road-texture plane with array and curve modifiers, then shrinkwrap down to the LiDAR mesh. The LiDAR mesh pokes through it in places, but a step forward! 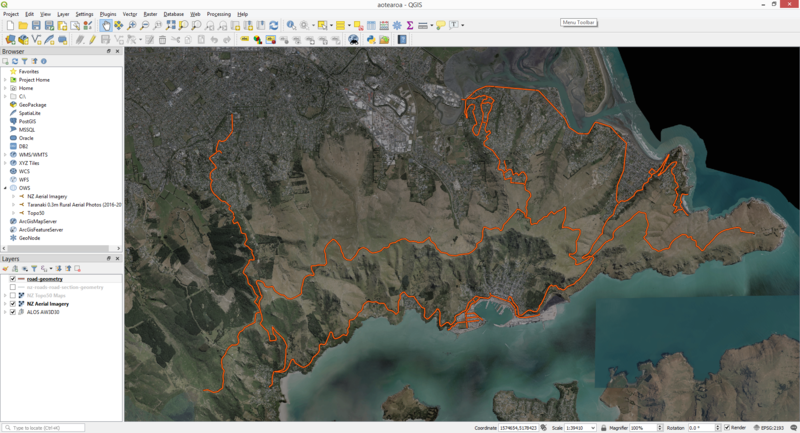 After making that one small section of road I realised tracing all these center-lines out would make my carpal tunnel worse so I imported an ESRI Shapefile of NZ's road center-lines, and it looks pretty cool! 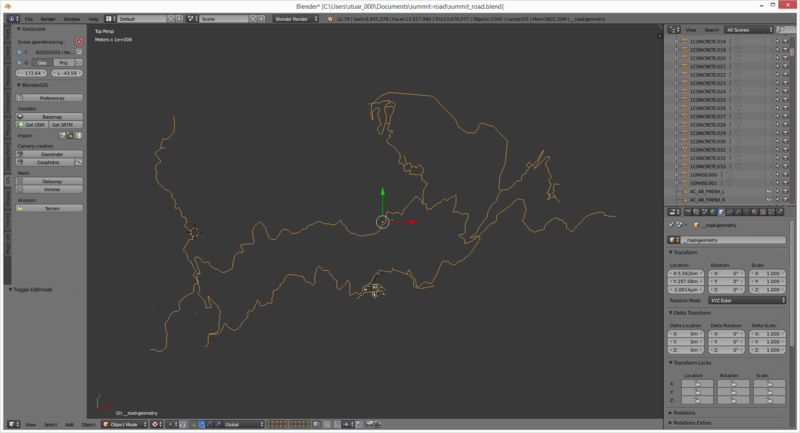 Does anyone know of a method for converting an edge selection (or object) to a nurbs path or Bezier curve? The type property of the object in Python is read-only, so I think the only way is to re-create it using the Blender API.. I never did this specific manipulation, but assuming it DID converted it to a curve, did you try to change the control points to something different ? (e.g. if during conversion they were automatically made say vector, the curve would still look "cornery"). Anyway, to try it out, select the curve, go to edit mode, select a control point and press V then choose a different type. The conversion (in BlenderGIS) makes vertices and edges between them along the polyline. Oh, I was referring to bezier curve. Maybe have a look at this ? Once it IS bezier, you should be able to do what I was talking about . That should simply be "Alt-C" I think. Select an object and press that, choose what you need. After converting with alt-C I needed to select the vertices and 'set spline type' to Bezier, then the curve control handles appeared! Now I have too many control points hehe, the shapefile with road center-line data was approximating curves with additional vertices. 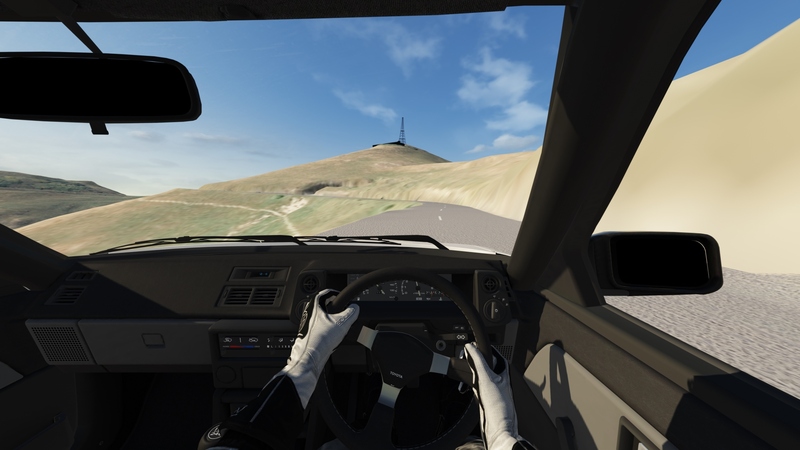 The road is incomplete and the LiDAR DEM has not been optimised yet, very early days, but there are some beautiful panoramic views if you can get to the radio tower at the top the road is just raw LiDAR in places! 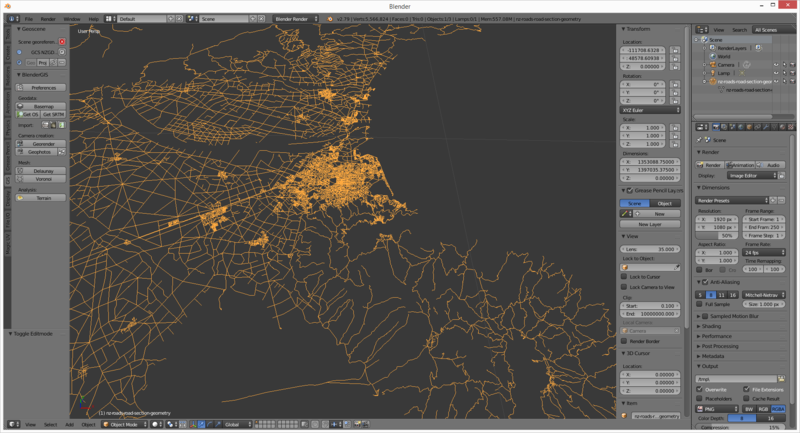 Having a play around with OSM building footprint data tonight, I could be in for a lot of texturing! texture for the roof might already be in memory with the orthophotos..
luchian, gojack and Tibor Solyom like this.